Our property also has a family room (1,500 square feet). 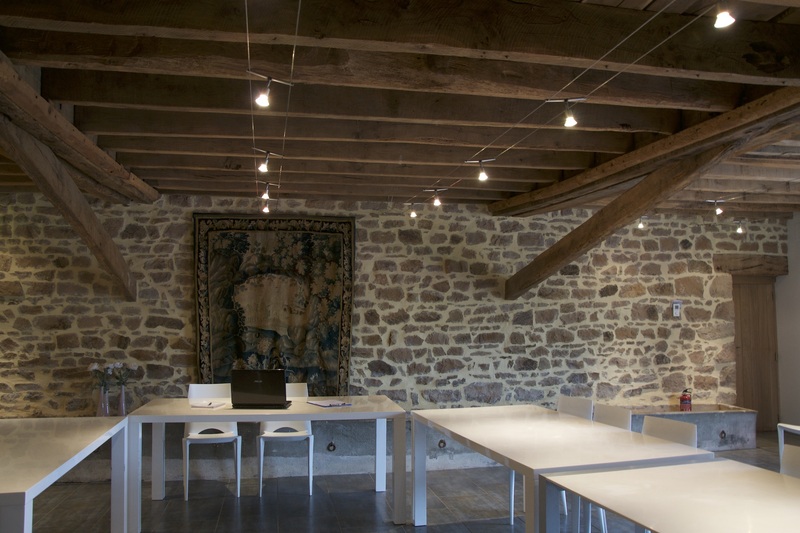 The family room is a modern yet charming space, created from a renovated stable. This room is the perfect space for our guests to host weddings, birthdays, seminars, family reunions, and more. The family room allows you to enjoy comfort and relaxation, as well as share meals with family and friends. 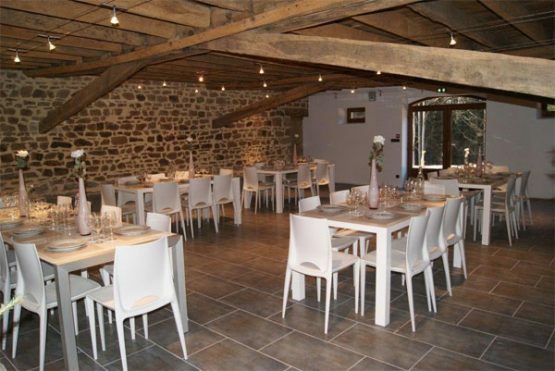 The room is furnsihed with tables and chairs for your gatherings. This room is comfortably furnished with a sofa and armchairs, providing plenty of seating for the entire family. Family game night is always a fun use of this space, as there are board games available! This room also has wifi access and a projector screen, where you can create a fun movie night inside! 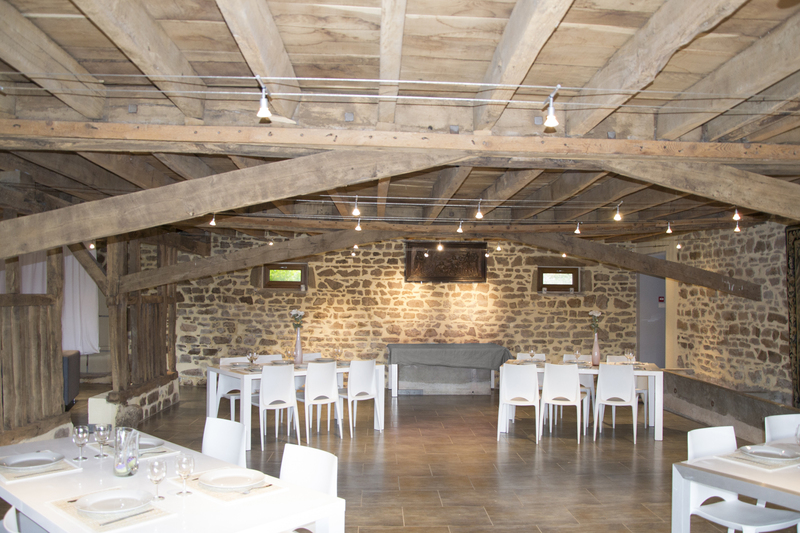 Our common room opens directly to a terrace of 100 m2 where you can enjoy a magnificent view of the Creuse countryside. This is the perfect space for outdoor cocktails and dining al fresco. There are outdoor table and chairs, as well as a barbeque for grilling if you choose. The common room even has heated floors, which makes it very pleasant even during winter time.